Are you looking for interesting and attractive opportunities for finding a new career? 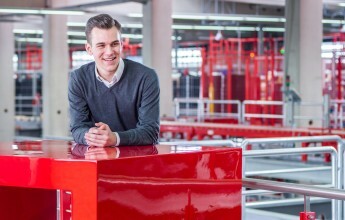 Whether you are an experienced expert in your field, a young professional or a student – Würth Industry UK can offer you a host of exciting roles in a dynamic, international company with outstanding career opportunities! Würth Industry UK specialises in supplying the manufacturing industry with a broad range of standard fastenings and special parts, chemical products, hand tools, PPE and many more C-Parts. A main focus are automated supply and logistics solutions that are tailored to the needs of the industrial customers. In our family business, our colleagues are the basis of our philosophy and our corporate identity. People are our top priority. It’s people like you who manage the work with our customers and who provide the best service. This is why we promote creativity and favour short decision-making processes and open doors. Achievements are valued and celebrated as a team. Does this sound like the perfect place for you? It is worth getting to know our company and the human beings behind. You are interested in sales? You are looking for the direct contact to the customer? Sales is an exciting but also demanding field of activity! If you enjoy convincing and inspiring our customers with our products and system solutions, you are the right person to join our team. We are seeking new employees to take on the role of Key Account Managers, Sales Managers and Inside Sales Managers. These colleagues will have an important responsibility as face-to-face representatives for our company, working closely with our customers and constantly adapting to the changes in the market. In addition to a range of exciting employment opportunities, we provide first-class training, reward performance and offer attractive incentives.